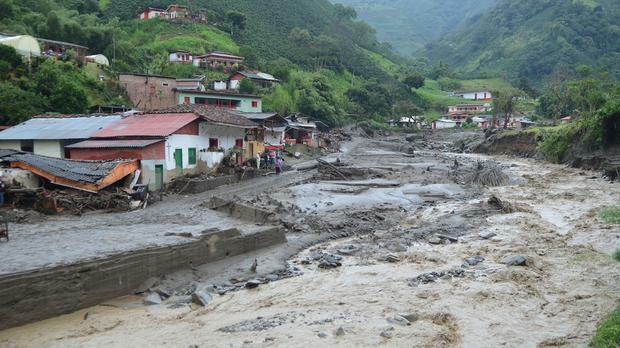 Colombians are celebrating the miracle rescue of an 11-month-old baby who survived a massive mudslide that killed at least 78 people - including 15 of the child's relatives. Doctor Jesus Antonio Guisao treated the baby when he was found on Monday in the mountain town of Salgar buried face-down in the mud. He said that the baby was unconscious but breathing when he was brought to the town's hospital in the frenzied aftermath of the mudslide. After his condition was stabilised, the baby was transported to Medellin, where he continues to be monitored. The baby's mother and 15 other relatives were killed in the flash flood.